On average we renew our skin every 4-6weeks however with age this renewal is considerably slower. Microdermabrasion removes dead surface skin initiating cellular turnover at the dermis and epidermal levels improving skin texture, elasticity, color and overall appearance. It is a gentle but effective mechanical peeling of the skin to slough off dead surface cells, dirt, makeup smog, pollution and anything else that is clogging the pores. The treatment erasers epidermal layers at varying depths in a controlled manner minimizing skin trauma, it alters the epidermis and invigorates cell renewal to create a healthy balanced surface, leaving it smooth and fresh while promoting collagen growth. Do not use Retin-A or other exfoliating creams 24 to 72 hours (1 to 3 days) prior to your treatment. Avoid sun tanning or tanning creams/sprays for at least a week before treatment. You must NOT have recently had laser surgery or used Accutane. 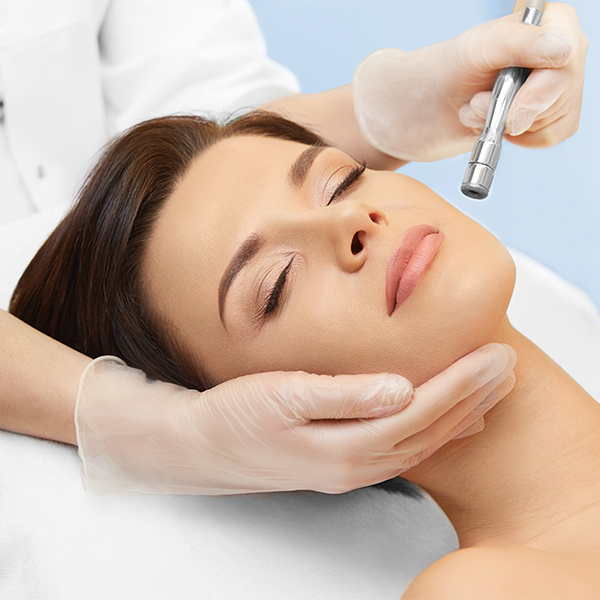 Candidates who have had a recent chemical peel or other skin procedure, such as collagen injections, should wait two to three weeks before undergoing microdermabrasion. Prospective patients should also refrain from waxing or tanning the skin to be treated for a few weeks prior to microdermabrasion treatment. The technology is so efficient that you can schedule the treatment in a lunch time, results are immediate, and no discomfort is felt. Depending on your skin and condition the frequency could be anywhere from weekly, fortnightly or monthly. You could do a course of treatments to treat a specific condition or just come for an invigorating pick me up to combat dull lifeless skin.